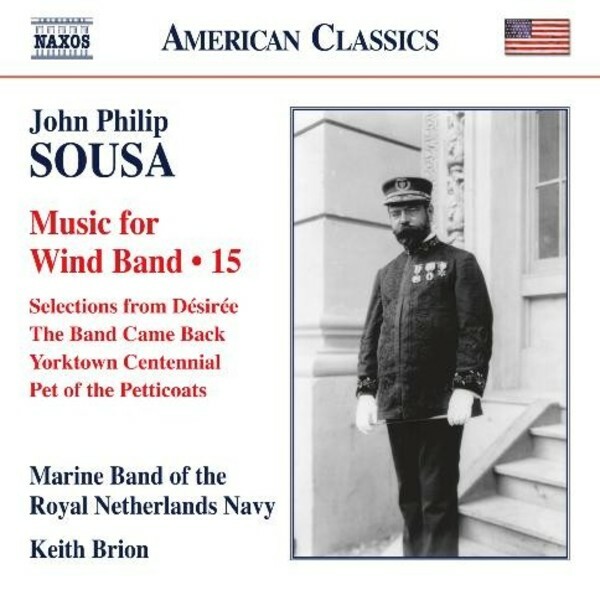 No one embodied the qualities of the American band master more supremely than John Philip Sousa. In this penultimate volume of an internationally admired series, a wide variety of his compositions can be heard, a number in world premi�re recordings. The music ranges from the early Across the Danube march to music from his operettas, taking in a Chopin arrangement and the stirring Yorktown Centennial march. Also included are those inventive works, such as Pet of the Petticoats march, in which Sousa experimented with the march form itself. This recording coincides with the 70th anniversary of the Marine Band of the Royal Netherlands Navy in 2015.